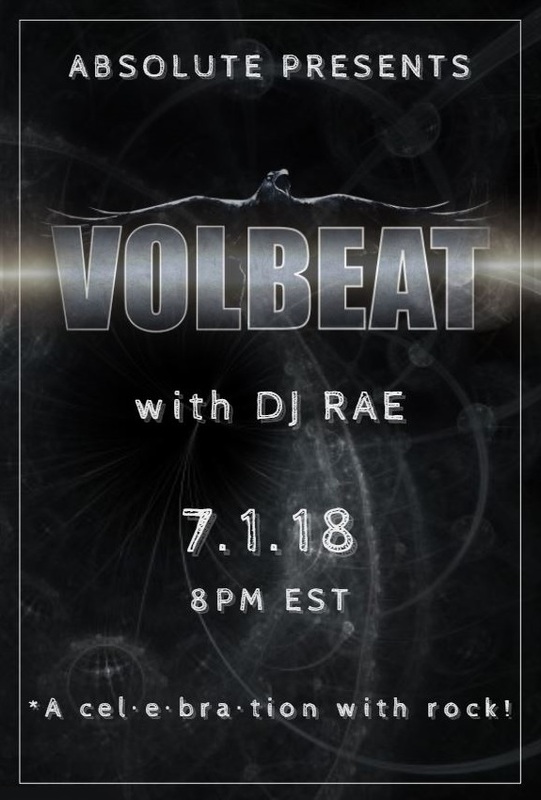 If you know and love Volbeat (or Rhet), come and join the party… or if you’re not familiar with either, we WILL make sure you know and love both before you leave this night. Going down in Absolute on 7.1.18, starting at 8pm est. Be there or you will miss an absolutely unique party. Another great event. I'm looking forward to it. Hey, I was wondering... Will this just be Volbeat, or will it be Volbeat cover's as well? I love the Music of Volbeat. I was at an Open Air Concert last Year and it was great. No covers of Volbeat, but Volbeat have done some covers, so possible. Ah ok. I thought so, just wasn't sure. Sounds like a lot of fun.